Atherton is an incorporated town in San Mateo County, California, United States. Its population was 7,159 as of 2013. 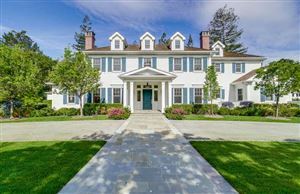 In 1866, Atherton was known as Fair Oaks, and was a flag stop on the California Coast Line of the Southern Pacific Railroad between San Francisco and San Jose for the convenience of the owners of the large estates who lived north of Menlo Park. The entire area was called Menlo Park. It had been part of the Rancho de las Pulgasthat had covered most of the area, which is now southern San Mateo County. There were several attempts to incorporate Fair Oaks, one in 1874 and another in 1911. In 1923, Menlo Park wished to incorporate its lands to include the Fair Oaks lands. During a meeting of the representatives of the two communities, it became clear to the Fair Oaks property owners that in order to maintain their community as a strictly residential area, they would have to incorporate separately. Both groups rushed to Sacramento but the Fair Oaks committee arrived first. It was at that time they realized that they could not keep the name Fair Oaks, as it was already the name of a town near Sacramento. It was decided to honor Faxon Dean Atherton who had been one of the first property owners in the south peninsula and name the Town for him. Atherton was incorporated on September 12, 1923. That same year, in 1923, the Menlo Polo Club was founded in Atherton.